Do you want to listen to the audio tracks of the video you like on the go? 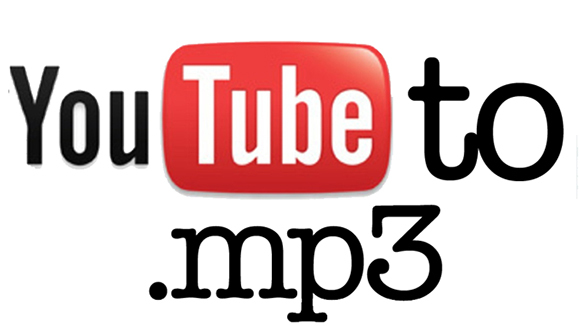 When you use AllYoutube2MP4 for Windows, you will be free to convert YouTube videos in any audio format you want. It makes converting YouTube to MP3 easier and faster than ever! Just simply paste the URL of your favorite YouTube videos and you will get the ultimate listening experience anywhere you want. What to Look for When Choosing Good YouTube to MP3 Converter Software? First, it should be specialized in converting YouTube videos and most commonly used formats should be supported. Second, it works in the simplest manner to make users of any level download and convert videos without hassle. 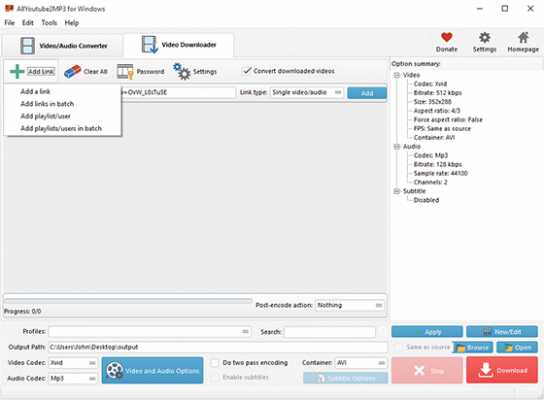 Third, what makes a video converter outstanding is the fast downloading and conversion speed as well as the output quality. 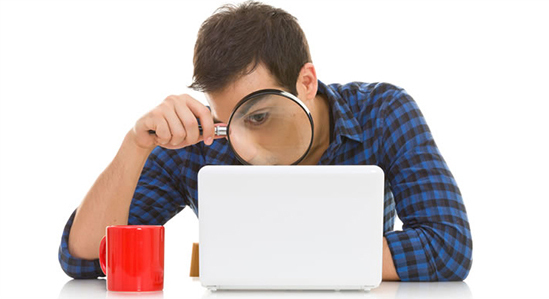 Plus, there is not any malware, spyware, adware or virus contained. Last but not the least, it should support batch processing to get top efficiency. And the most important part — it’s FREE! To add video URL in a fast way, just copy & paste the URL in the bar of “Fast link add”, then choose the link type of “Link type”, then click “Add”. For some sites which require logins to download, click “Password” and there input the site URL, username & password of the video. After the URL is added, in the menu of “Format”, there you are provided with the links of all video formats from the website along with the video thumbnail and detailed info including resolution, codec, frame rate, size, etc. Choose “MP3” as the output format and choose the profile for the converted video in “Profiles”. To preview the video, just click “Preview” and to choose an output folder, click folder icon in the “Output directory” bar. Now, click “Download” to start video download. When the download is finished, just click “Open Output Folder” or “Open” and you will find the downloaded videos in the format you choose. Click “Settings”, you can find some advanced settings you may need: set max parallel downloads; download audio when a “DASH” video is selected; don’t download again if local file contains the same video; don’t load thumbs. Although you can find various kinds of YouTube to MP4 Converters available on the market, not all of them work in the way you expect. No worry, AllYoutube2MP4 for Windows is the easiest converter you’ve ever found. As you can see, its UI design is quite intuitive and simple. Usually, the quality of converted files is high and the download speed is super fast. Therefore, if you want a successful video download and conversion experience without regrets, why not turn to powerful AllYoutube2MP4 for Windows?